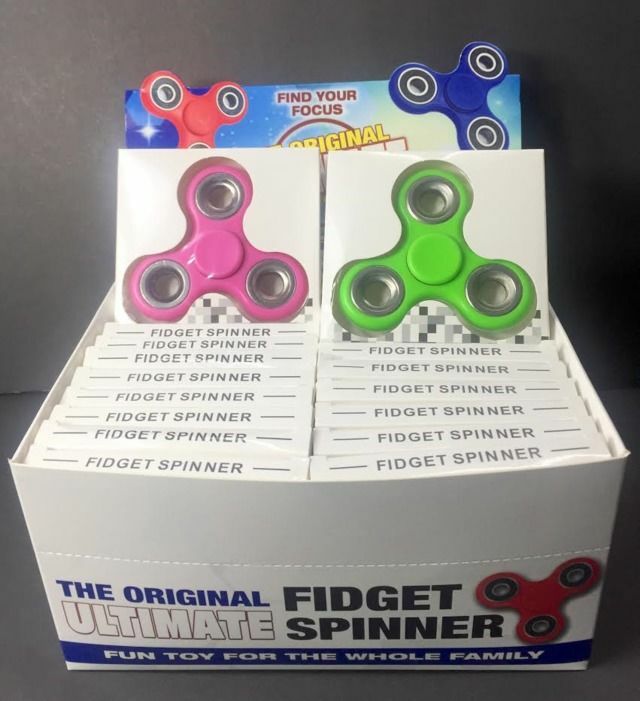 24 Units of Wholesale Fidget Spinner Stress Relief Toys 24 pcs per display. ???????????????? Most orders under 2 Lbs are shipped U.S. Postal service and will take 2-6 days to get to you and most orders over 2 Lbs are shipped U.P.S. OR FED-EX and take 2-7 days.?? Most orders are shipped out same or next day depending on stock availability. *We will ship to P.O. Boxes through the U.S. Postal Service. Standard Return Policy: Our goal is to ensure? ?customer's complete satisfaction. If for? ?some reason,? ?customers are?? dissatisfied with? ?their purchase,? ?then they? ?can return? ?their item??to? ?US within? ?20 days of purchase date. We are a small online Retailer. We specialize in wholesale C-store Supply & premium? ?Energy Products? ?for men/women. We have a wide range of products and our goal is to provide High Quality products at very competitive prices. Please note that we are retailers and do not have a manufacturing arm. We do not make any of the products that we sell. Unfortunately we do not have a physical store location. We are an online only store and do not offer local pickup. If you have any question please feel free to shoot us an email. Wholesale Fidget Spinner Stress Relief Toys 24 pcs per display.